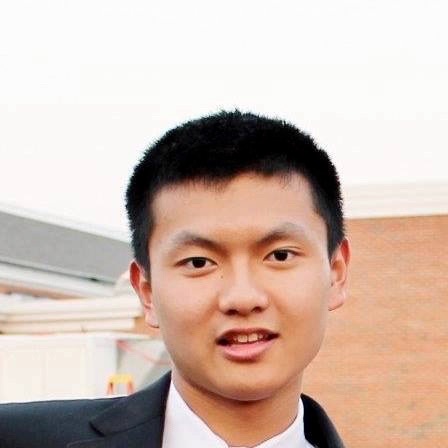 Raymond So (’21) is currently a sophomore in Dunster House and is concentrating in Chemical and Physical Biology. In his free time, Raymond conducts sleep research and cooks for the Winthrop Grille. He looks forward to working with all current and future HCAB volunteers. Mohamed El-Abtah (’21) is a sophomore in Pforzheimer House concentrating in Neuroscience. After joining Alzheimer’s Buddies in the fall of freshman year, it was by far one of the most rewarding volunteer experiences he ever did. Not only did it reaffirm the importance of connecting with people but also provided him with a friend away from home that he could learn from, connect with, and share experiences with. As co-director, the biggest hope he has is that many others can realize the tremendous reward that comes along with forming that special connection with their buddies so that they will forever cherish it. When not doing weekly visits, Mohamed can be found at the QRAC playing a pickup game of basketball with his blockmates or watching Premier League Soccer. Leon Yang (’21) is a sophomore in Mather house studying applied math with a secondary in molecular and cellular biology. Outside the classroom, he enjoys writing for the Crimson and organizing conferences for the Harvard College Undergraduate Research Conference. He is excited to continue the great work of HCAB moving forward. Ellis Yeo (’20) is a Junior in Mather House studying Classics and English with a Global Health & Health Policy Secondary. Since joining Alzheimer’s Buddies freshman fall, Ellis has loved the opportunity to make meaningful long-term relationships with her buddies. On campus, Ellis has served as the Multimedia Chair of the Harvard Crimson and is a Community Building Lead for Partners in Health Engage. She is also lead translating Seneca’s Medea for a Harvard Classical Players original production in the Fall. Ellis loves to travel, drink rooibos tea, and read poetry. Debbie Chan (’20) is a Junior in Dunster House concentrating in History of Science with a secondary in Global Health and Health Policy. She believes in the ability of genuine human interactions and meaningful relationships in improving the lives of Alzheimer’s patients. After her first year in Alzheimer’s Buddies, she realizes that this program also enhances the relationship between Alzheimer’s patients and their family; without knowing our buddies before the disease, we remind them not to compare “what is left” with “what used to be,” but to love and cherish them as they are. Amanda DiMartini (’20) is a Junior in Cabot House studying Molecular and Cellular Biology. After volunteering at her local hospital in high school, Amanda found HCAB an amazing way to continue doing caring, compassionate volunteer work in the healthcare field. She has seen the emotional isolation Alzheimer’s patients face and believes wholeheartedly in the organization’s efforts to alleviate some of this pain. On campus, Amanda also enjoys being a Peer Advising Fellow to freshmen, a member of the Candela Dance Troupe, and a junior editor on the Crimson Multimedia Board. Max Weiss (’20) is a Junior in Leverett House who hails from Cincinnati, Ohio. Max joined Alzheimer’s Buddies because he knows that friendship is one of the best medicines. He has loved singing, laughing, and sharing stories with his buddy at HSL. When he is not waking up at 9AM for weekly visits, he studies in the Government Department, where he works as a Research Assistant. He loves theatre but does not love olives. Siavash Zamirpour (’20) is a junior in Pforzheimer House originally from Iran and brought up in the Houston area planning on concentrating in chemistry. After volunteering regularly in high school, including a stint at Texas Children’s, Siavash joined Alzheimer’s Buddies to make a positive impact on the lives of those who suffer from degenerative neurological disorders. On campus, he writes for The Crimson Editorial Board and serves as a Consent Advocate and Relationship Educator (CARE). He is an undergraduate researcher in the Sabeti Lab at the Broad Institute, working on the genomics of infectious disease agents. Brenda Chiang (’19) is a Senior in Adams House. She joined the Alzheimer’s Buddies program because she believes in the importance of meaningful human interactions in clinical settings and the significance of holistic health care. She is also involved in Satire V, Harvard’s satirical news publication, and is a peer counselor on campus. Outside of frantically studying for organic chemistry, Brenda enjoys sipping tea, doodling, and wondering where in the world all her time has gone. Shreya Mathur (’18) lived in Dunster House and concentrated in Neurobiology with a secondary in Global Health and Health Policy and a citation in Spanish. In addition to her academic interest in treating neurodegenerative diseases, she joined Alzheimer’s Buddies to be more involved in the caregiving side of Alzheimer’s. She believes that empathy and compassion are fundamental aspects of treating Alzheimer’s and wanted to change the social isolation Alzheimer’s patients often face, through this program. Shreya also conducts neuroimmune research at Boston Children’s Hospital and is a case manager at the Y2Y Youth Homeless Shelter. At Harvard, she is peer-counselor and leads the Health Advocacy Program and the Harvard Happiness Challenge. Keyuree Satam (’18) lived in Winthrop House and studied Neurobiology with a secondary in Global Health and Health Policy. She has volunteered at the local Alzheimer’s center, Page Robbins Adult Daycare Center, in her hometown for six years. She decided to continue this passion by joining HCAB, believing that genuine human connection can positively impact and even change another’s life. She is also involved with Model United Nations, the Foundation for the International Medical Relief of Children, and the South Asian Dance Company. Furthermore, she works in a lab on campus studying neuroregeneration, a project that could have implications in Alzheimer’s Disease. For fun, she enjoys photography, traveling, singing, and watching Game of Thrones. 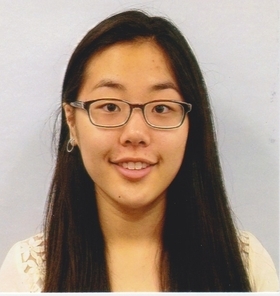 Ellen Zhang (’19) is a Senior in Quincy House studying Human Developmental and Regenerative Biology. During high school, she consistently volunteered at her local nursing home and developed meaningful relationships with residents. Consequently, she joined Alzheimer’s Buddies due to her belief in the importance of human interaction to enhance the quality of one’s life. Her involvement in Alzheimer’s buddies at Harvard and nationally has furthered her hope to pursue geriatrics in the future. Ellen is also the Secretary of the Philips Brooks House Association, editor for The Harvard Crimson, and Editor-in-Chief of Prescriptions. 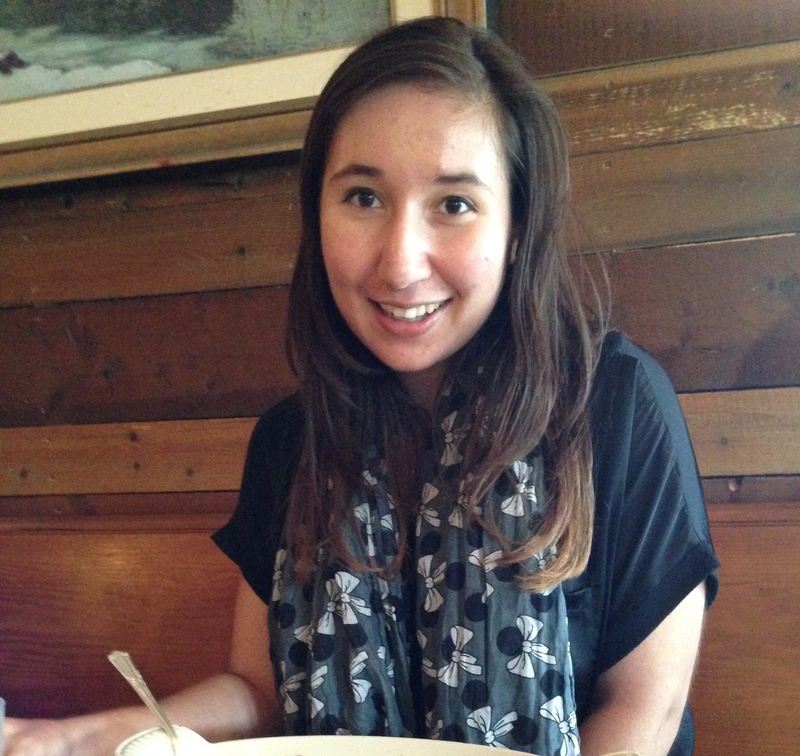 Maggie Hartman (’17) lived in Leverett House and is originally from Woodstock, GA. She studied Christianity and Religion and Science within Harvard College’s Comparative Religion department, and she is especially interested in illness narratives and bioethics questions surrounding end-of-life care. Maggie joined Alzheimer’s Buddies to have the privilege of spending time with individuals who are often by themselves, without social interaction. Maggie also serves on the steering committee of the Harvard Catholic Student Association, and she volunteers at Mass General Hospital in the emergency department. Juliet Kim (’18) lived in Quincy House and studied Human Developmental and Regenerative Biology. Family experience piqued her interest in Alzheimer’s disease and led her to join the Alzheimer’s Buddies program. She believes in the lasting impact of human connection on improving the quality of life of dementia patients and is therefore very excited about expanding the Buddies program. She is also involved with Team HBV at Harvard, a chapter of a nationwide organization that seeks to raise awareness of and prevention against Hepatitis B virus. Additionally, she enjoys traveling, baking (especially for a cause), and throwing surprise birthday parties. Emerson Lee (’18) lived in Quincy House and concentrated in Neurobiology (MBB track). Driven by personal experience, he joined Alzheimer’s Buddies in order to effect a tangible, lasting impact on the life of someone suffering from dementia and to promote greater discourse on the disease and expand the program. Emerson is currently conducting Alzheimer’s research on the proteasome’s role in tau toxicity in drosophila. He’s also involved with the Harvard chapter of Team HBV, a national network that attempts to address the disproportionately high incidence of hepatitis B among many minority groups worldwide. In his spare time, he enjoys cooking, eating, camping, and on occasion, trying his hand at archery. Andrew Torpey (’18) lived in Dunster House and concentrated in Chemistry with a citation in Spanish. The Alzheimer’s Buddy program has fostered his passion for ending the disease and helping patients and family members live their lives to the fullest. Andrew was privileged to be a part of the 2015 symposium team and he looks forward to the rich discussion and awareness generated at the next symposium. He has had experience on a medical research team in hematology/oncology and in the Pediatric ICU. At Harvard, he is also a member of HealthPALs and volunteers for the Mission Hill After School Program. Andrew loves the HCAB program and appreciates his visits with his Buddy each Sunday. Jack Zhou (’16) studied Biomedical Engineering. In high school, he volunteered at a veteran’s nursing home, and had a great experience talking with and motivating residents stay active in the community. Inspired by his high school experiences, he joined Alzheimer’s Buddies to continue helping senior residents by developing a closer bond with someone suffering from Alzheimer’s. He is interested in using the program as a platform for promoting greater discussion about the disease, and expanding Alzheimer’s Buddies to other colleges. In his spare time, he loves lifting, fishing, reading, and watching movies. 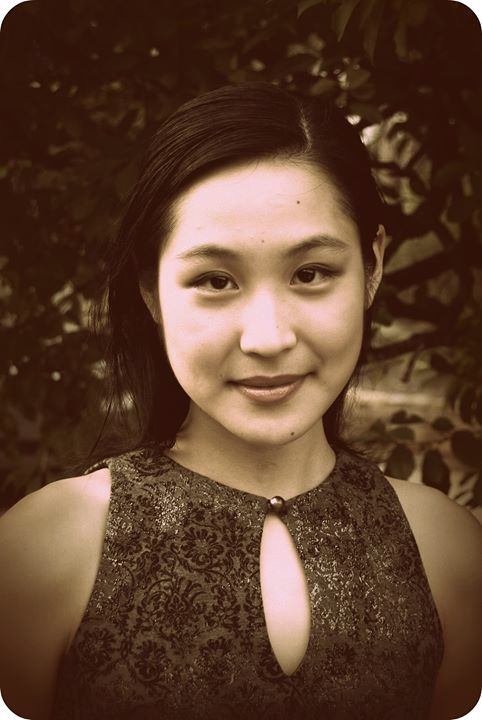 Joyce Zhou (’17) lived in Currier house and studied anthropology and neurobiology. She first became interested in Alzheimer’s after volunteering at an Alzheimer’s day facility and becoming enraptured by the unique stories of the members there. She believes that creative art can enhance the quality of life of dementia patients, and so she often shares and creates art with her buddy. In addition to HCAB, Joyce organizes the Harvard Society for Mind, Brain, and Behavior’s symposium and actively club swims. She also loves to try new foods, explore, and watch plays. 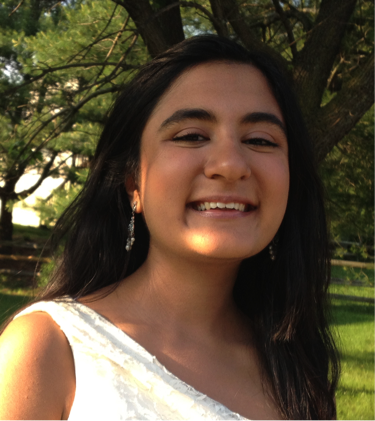 Rhea Malik (’17) concentrated in Human Developmental and Regenerative Biology with a secondary in Education. Family experience with Alzheimer’s drew her to the Alzheimer’s Buddies program. And it is the enthusiasm and fascinatingly-woven stories of the seniors combined with rewarding experiences running medical camps in India and Honduras that have fueled her continued passion. Rhea is a member of the Harvard Bhangra Dance Company, and co-directs Harvard Public Opinion Project at the Institute of Politics. She is also working to overhaul access to public transport for university students to allow for the expansion of public service-based programs in the Greater Boston area. Ioana Dobre (’17) studied Biomedical Engineering. She is particularly interested in generating discussion about Alzheimer’s disease among different age groups, and is directing the upcoming Harvard Alzheimer’s Symposium open to the Harvard community and the general public. She is also inspired by the beneficial impact that music can have on dementia patients, and loves to play the piano for her buddy. Additionally, she enjoys learning new languages and exploring diverse cultures, as well as rowing and teaching. 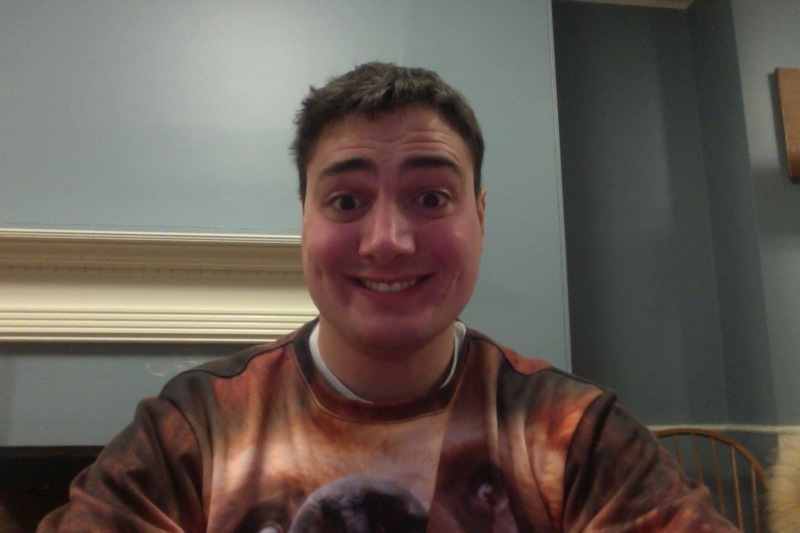 Chris Bruno (’16) Chris concentrated in Applied Math with a focus in Biology. He is also premed and plans to apply and go to medical school straight out of college, which he hopes will lead to a future in cardiology or neurology. In his spare time he plays for Harvard’s rugby team, where he serves as Vice Captain. He joined HCAB over a year ago and really looks forward to expanding Alzheimer’s Buddies across the country! Jen Guidera (’15) studied Chemistry. In high school, she visited nursing homes and played music there. She found a lot of meaning in talking to the members after performances, and in college, joined HCAB to be able to learn from and grow close to someone from another generation. She loves visiting her buddy, who grew up in Cambridge, and hearing stories about what Boston and Cambridge were like years ago. She enjoys playing on the piano with her buddy. 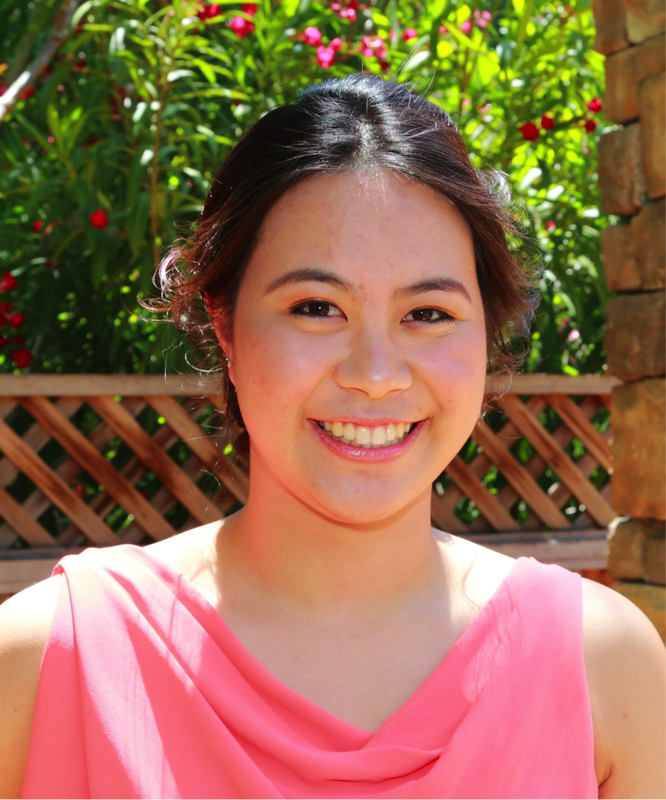 Jennifer Tu (’16) studied Neurobiology. She became interested in geriatric care after starting Generation to Generations, bringing the youthful energy of high school students to nursing homes in the Greater New Orleans area. She is particularly inspired by the wisdom, experience, and humility of the elderly and the lessons they have to offer. In high school, she founded Generation to Generations (GEN2GENS, at www.gen2gens.org), an ongoing organization that brings high school students to several nursing homes in the Greater New Orleans area for conversation, “Senior Proms,” an annual “Generations Fest,” and more. Jennifer is also a co-director of Harvard-Radcliffe MIHNUET. She loves to see people connect over music and service – she plays the piano especially for her Buddy, a classically trained pianist herself! Selena Pasadyn (’16) concentrated in Human Developmental and Regenerative Biology with a secondary in Global Health and Health Policy. She became interested in working with patients because both of her parents are registered nurses and she has volunteered and shadowed extensively in hospital settings. She wants to maximize patient care through compassion and aligns her values with the goals of the Alzheimer’s Buddies program. Selena is a member of the varsity cross country and track and field teams, participates in Women in Science, is an LS1a facilitator, and is currently conducting research modeling hereditary dystonia. Selena loves running, swimming, spending time with family, reading, and country music. Renajd Rrapi (’16) studied Neurobiology. He first became interested in medicine in high school when volunteering at his local hospital in Philadelphia. His limited role in the varied patient experiences inspired him to participate in a program like Alzheimer’s Buddies. His goal is to facilitate stimulating and meaningful relationships among buddies. Outside of Alzheimer’s Buddies, he conducts undergraduate research and takes pictures for the Harvard Crimson. Renajd also enjoys dancing, running, and football. Jeffrey M. Robbins is a Senior Clinical Social Worker in Neurology at Brigham and Women’s Hospital (BWH) and a Teaching Associate in Neurology at Harvard Medical School. He is the co-founder of The Eleanor Robbins Community Program: Caring For Each Other (1997) and the co-founder of Camp Wee-Kan-Tu: A Camp For Champs, the first overnight summer camp for children with epilepsy in New England (1998). 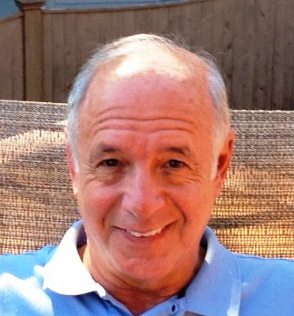 In addition to his work at BWH, Mr. Robbins has a private practice in Danvers. His mother, Elly, who spent the last 11 months of her life in a nursing home on a dementia unit, was the first recipient of a visiting buddy in 1995.